I would like to thank the Mayor, the Hattiesburg City Council and all of the friends and family members that continue to support the Hattiesburg Fire Department. 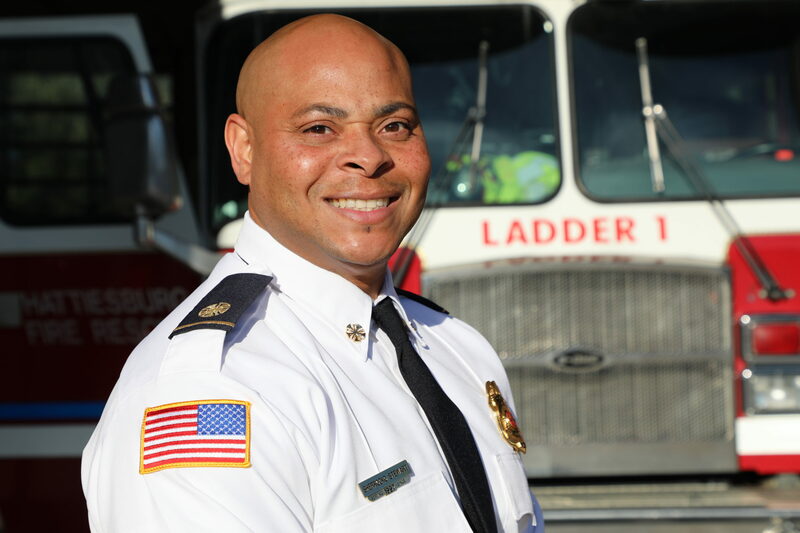 Since my arrival in June 2018, we have formulated a distinct vision forthe Hattiesburg Fire Department that WILL be accomplished as we move forward. This past August we were evaluated by the Mississippi State Rating Bureau and we maintained our class 4 fire rating. This rating will allow our citizens and business owners to continue to enjoy the lower insurance rates and other benefits associated with this rating for the next four years. While this was a great start to our administrative mission, we are not yet satisfied. We are determined to increase the rating to a class three, which will allow more savings for business owners and citizens. We are working diligently to accomplish this goal before our next evaluation in 2021. Future endeavors of our administration also include increasing total manpower, adding more registered EMT’s to the department and the construction of Fire Station Number 9. By taking advantage of the educational agreements between The University of Southern Mississippi and Pearl River Community college, we are working to become the best trained and educated department in the state of Mississippi. We are just beginning to touch the surface of the potential of this Fire Department, and I’m excited that I was chosen to lead this department moving forward. The Hattiesburg Fire Department officially became a paid department on April 15, 1904. Led by A.F. Potter, nine men served the City 24 hours a day, seven days a week with little time off. That same day they also put into service a horse-drawn engine with two used horses named Duke and Dexter, purchased from local stock. From the first station located at City Hall with the engine, a combination hose and ladder wagon and a chief’s buggy, the department expanded with two more stations in 1908 at Arledge Street and W. 5th Street. Hattiesburg purchased its first motorized engine in 1915 (followed by two more in 1917 and 1921, respectively) and became the first department in the state to purchase a motorized ladder truck in 1939. At that time the department had grown by another station on Hardy and Dixie Avenue with twenty-five firemen now serving at four stations on two twenty-four hour shifts. The Hattiesburg Fire Department serves Hattiesburg’s residents and visitors with more than 120 skilled personnel operating eight engines, two ladder trucks and a variety of specialized equipment found at the eight stations strategically located throughout the city.